I've been prompted to think about this a bit more from the various KLNs that were advanced in response to a tweet by @tomcopley. 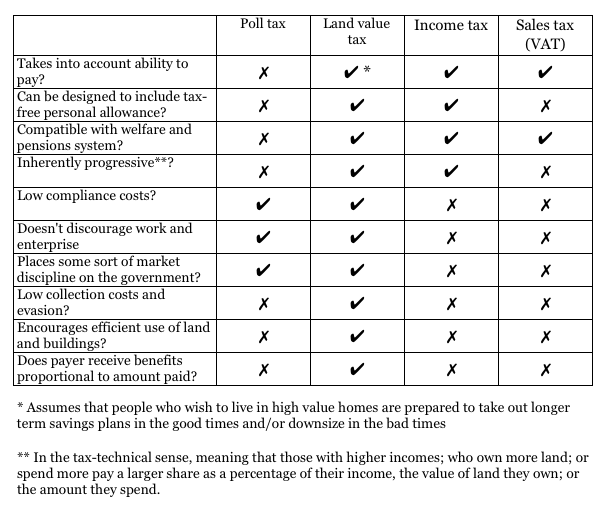 There is this brainwashing that taxes on land and buildings are only appropriate for paying for "local" services (this is actually embedded in the German constitution, at the suggestion of the Americans). 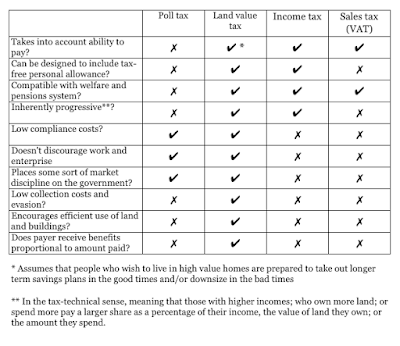 The Homeys always start flailing about and saying that LVT is the worst way to pay for "local" services, and either a Poll Tax or Local Income Tax is better (despite those two being diametric bloody opposites, with LVT being the Goldilocks middle. Sales taxes go round the clock and start behaving more like a Poll Tax, "on closer inspection, everything becomes something else", as Steve S and I like to say). That's actually a minor issue. I compiled that handy cut-out-and-keep-guide on the assumption that we are looking at national taxes. National taxes which serve to reduce regional discrepancies, so the wealthier regions subsidise the poorer ones (in return for leeching off them in the first place), are surely inherently better than "local" taxes? Think about it, Council Tax operates like both LVT and Poll Tax at a hyper-local level. Me, the wife and two kids live in a detached house in Band G, so we pay about twice as much as a two-person household in a one-bed flat across the road in Band B. So we could express this as a modest LVT (our house is worth about twice as much as a one-bed flat across the road) or a Poll Tax of £700 per person. Whichever way I look at it, that seems fine to me if I am just comparing what we pay with what the people across the road pay. What is not OK, is when an arbitrarily defined amount of arbitrarily defined "local" spending is to be funded out of a "local" tax. They could replace Council Tax (which pays for a tiny fraction of "local" spending) with a "local" income tax. To get £700 per person where I live, the appropriate income tax rate would be something like 3% of local incomes (assuming no personal allowance), no biggie and I'd be happy to pay it instead of Council Tax, it's a few hundred quid either way. To raise £700 per person from the most depressed areas of the UK, the income tax rate would have to be more like 15%. 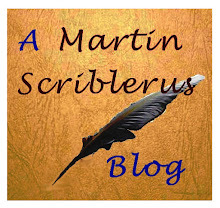 Does that outcome not seem like madness? That higher earners in high income areas pay 23% basic rate income tax and people in depressed areas pay 35% basic rate income tax? Try this again with Poll Tax, local LVT or local Sales Tax and you get the same answer. They are all inherently regressive. Which is why, if you really want LVT to come into its own, it has to be a national tax. "Which is why, if you really want LVT to come into its own, it has to be a national tax." BJ, indeed, but we've done this, what if Kensington & Chelsea LVT revenues remain in K&C? What if the LVT revenues from the most expensive street in K&C remain in that street? London land values are created, ultimately, as a result of its location in England, in Europe and globally. The UK in general, and London in particular, occupies a gateway position between Europe and the rest of the world. Wealth also accumulates in London from the rest of the country due to the tax system and its capital's role as a centre of government and banking. If the EU had been based on Georgist principles, national contributions to the central EU fund (for whatever it was needed) would have been proportional to the land value of each country. The EU would also have been open to tariff-free imports of goods from everywhere, regardless of whether the freedom was reciprocated.